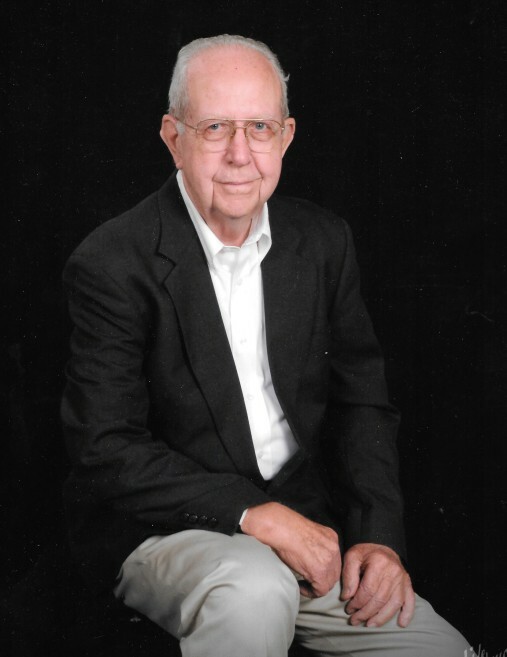 Graveside services for Norris Ray Hunt, 87, of Lufkin, will be held Thursday, December 6, 2018, at 1:00 p.m. at the Garden of Memories Memorial Park with Bro. Jimmy Hedges officiating. It is with great sadness that the family of Norris Ray Hunt, fondly known as Ray, announces his passing on Tuesday, December 4, 2018 at the age of 87. Mr. Hunt was born February 14, 1931 in Brunson, South Carolina, the son of John Sylvester Hunt and Connie (Brant) Hunt. Ray eventually enlisted in the Air Force and faithfully served his country during the Korean War from 1951 to 1955. After his time served, he fell in love and married his southern belle, Dixie and settled down in Lufkin. Ray faithfully supported his family while working at Champions Paper Mill for 30 years. Along with a strong work ethic, Ray’s steadfast and devoted faith to God defined who he was to family and friends. A devoted member of Calvary Baptist Church for over 50 years, Ray served others by building ramps for the handicapped through his Sunday school Class and Love Inc. While his contributions to his church and community will be lovingly remembered, it was his evident love for his family that will forever be cherished. An avid fan of baseball, Ray never missed a grandchild or great-grandchild’s game. The vision of “Papaw” on the sidelines rooting for his kids will be a memory forever etched in our hearts. The hours spent throwing the baseball, playing in the wood workshop and buying nuggets from McDonalds for grandchildren are memories that will never fade and will keep his legacy alive in our hearts. The legacy Ray leaves behind is the love he actively expressed to those around him. This legacy of love, faith, and strength will remain in our hearts forever. Ray will be lovingly remembered by his wife of 63 years, Dixie Hunt; daughters and sons-in-law, Donna Guillory and Tommy Guillory, Fran H. Bazar and Mike Bazar; son, Randy Hunt; grandsons, Matt Hopper, Tyler Dominey and Timothy Bazar; granddaughters and sons-in-law, Rhanda McGee and husband Ron McGee, Lindsay Klatzkin and husband Kyle Klatzkin; great-grandchildren, Andrew Hunt McGee, Myles McGee, Samuel Klatzkin, and Benjamin Klatzkin; along with extended family: sister, Trophena Collins, and three nephews and one niece from Charlotte, NC. We want to thank the staff of the Joseph House and Affinity Hospice for their loving care to Ray. Special memorials may be made to The Joseph House Inc., P.O. Box 150554, Lufkin, Texas 75915, or to Calvary Baptist Church, 516 Montrose , Lufkin, Texas 75901.